Home Getting Engaged	History behind Wedding Ring, Wedding Band and Diamond Rings. History behind Wedding Ring, Wedding Band and Diamond Rings. What is this ring thing all about anyway, have you ever wondered about the why and how of engagement and wedding rings came about, how did it become a marriage symbol and why is the fourth finger of your left hand the lucky recipient? Here are the history, traditions and the claim to be powers of engagement and wedding rings. It’s believed the pharaohs of Egypt first used the circle, a shape with no beginning or end, as a symbol of eternity, but wearing a ring as a public pledge to honor the marriage contract did not become customary until Roman times. The earliest rings were made of simple iron, but gold rings set with gems were fashionable by medieval days. 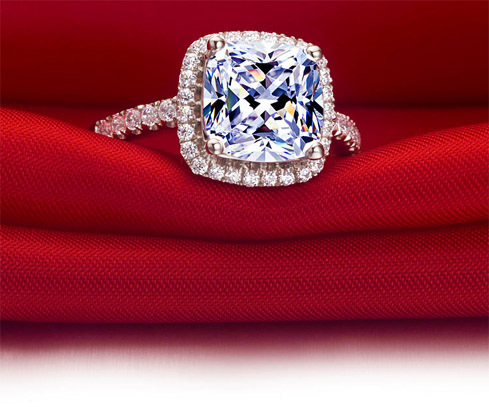 The most popular gems were symbolic a red ruby was the color of the heart, a blue sapphire reflected the heavens but the most coveted and powerful gem was the indestructible diamond. The word “diamond” is derived from the Greek word adamas, which means “the unconquerable.” As Mother Nature’s hardest substance, diamonds represented invincible strength, a fitting gem for the marriage covenant. But the real pull of these sparkly stones, which ancient Greeks believed were delicate splinters of fallen stars, came from the powers and protection they offered the wearer. In India, where diamonds were first discovered, they were thought to be a shield from the combined forces of evil (which at that time included snakes, poison and theft). Ancient astrologers believed diamonds promoted lasting love and warded off witchcraft and nightmares. Associated with everything from innocence to sexual power and all-encompassing protection, you can see why the diamond became the betrothal gift of choice for guys and girls. Blame it on Archduke Maximilian of Austria, who started the diamond ring trend in 1477 when he presented one to his beloved, Mary of Burgundy. The tradition of wearing the engagement ring and wedding band on the fourth finger of the left hand can be traced to the Egyptians, who believed the vena amoris (vein of love) ran directly from the heart to the top of this finger.